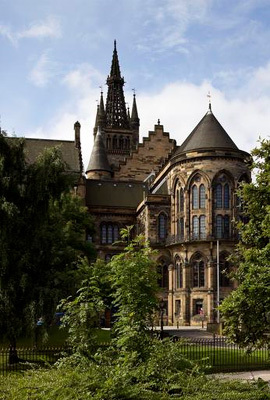 William Symington McCormick graduated from the University of Glasgow in 1880 with an MA. McCormick was born on the 29th of April 1859 in Dumfries. He was the son of William McCormick, an ironmonger, and Agnes Ann and was educated at Dumfries High School before entering the University. While studying at the University of Glasgow, McCormick took subjects such as mathematics, a subject for which he received a prize. William then attended Gottingen and Marburg University in order to study English literature and upon his return to Glasgow, in 1884, became assistant to John Nichol , Professor of English Literature at the University of Glasgow. In 1893 he became in charge of the department of English Language and Literature at the Queen Margaret College for women, after its transference to the University the previous year. In 1890 McCormick was appointed to the chair of English Literature at University College, Dundee, and later received a lectureship in English at the University of St Andrews. in 1901, Andrew Carnegie invited McCormick to become the first secretary of the Trust for the Universities of Scotland and after gaining this position, he continued to be very heavily involved in the government’s aid of university education. In 1907 he served on the departmental committee of the University of Wales and the Welsh colleges. From 1909-1913 he was a member of the Royal Commission on University Education in London. In 1911 the Treasury Advisory Committee was transferred to the Board of Education, and McCormick became its chairman. In 1919 this became the Treasury University Grants Committee (UGC) and McCormick was therefore its first chairman; a post which he kept to his death. McCormick was also interested in music and was an original trustee of the Carnegie United Kingdom Trust, also becoming chairman of the British National Opera Company. Sir William Symington McCormick was knighted in 1911 and created a GBE in 1929. He died on the 23rd of March 1930.